Against the sunrise towered the great tree. Magpies were fluting their loud melody. Clear bellbird, striking each his crystal gong. But the proud tree soared mute, content to be. Or was it human haste that did it wrong? Beneath that gush of leafy note on note. The thrilled vibrations of a singing throat. 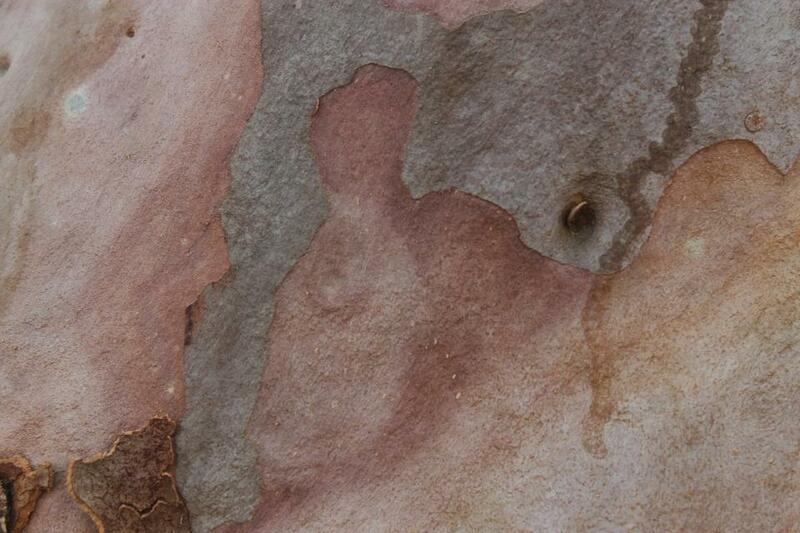 A RHYME OF GUM TREES. Bronze-green, bronze-gold, the eucalypts stretch out to the horizon. The reticent tall children of a frank and subtle land. 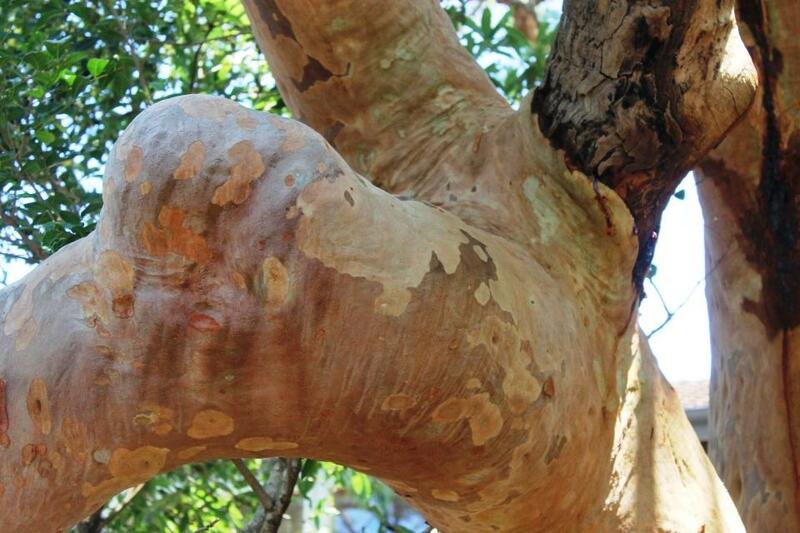 The gum trees that some artists and all lovers understand. Or tossing wild funereal plumes against the coming night. The sun uprose; and feather-light they danced in golden sheen. But It will not fret the gum trees It their beauty Is decried. Sharp wafts of Scent are blown to me; from here to the horizon. Is pungent with the savour of Its own Identity. And the tourists trooping by. As in the long ago. But the race seems much the same to me. Change all a country's face. "The blood red suns rise up and die o'er me," ? Is always giving her very best. — Veronica Dwyer (13), St Helens State School. Was wont the starter's flag to wield. And ne'er allowed the nags o'er the border. Which, by a nose, Black Bess won. As, useful, you are still victorious. Dead, no fuel with you can compare. With all its hopes and fears. In daylight or when dark. Rung out beneath the starry sky. And left us sad and alone. First a signal, then a dream. Dead, useful still as wood. Just recently Mrs A. Thomas, of Mayfield, has had cut down probably the most noted tree in our district, the memories of which surrounding it are many and of a period dating far back in the history of the district. 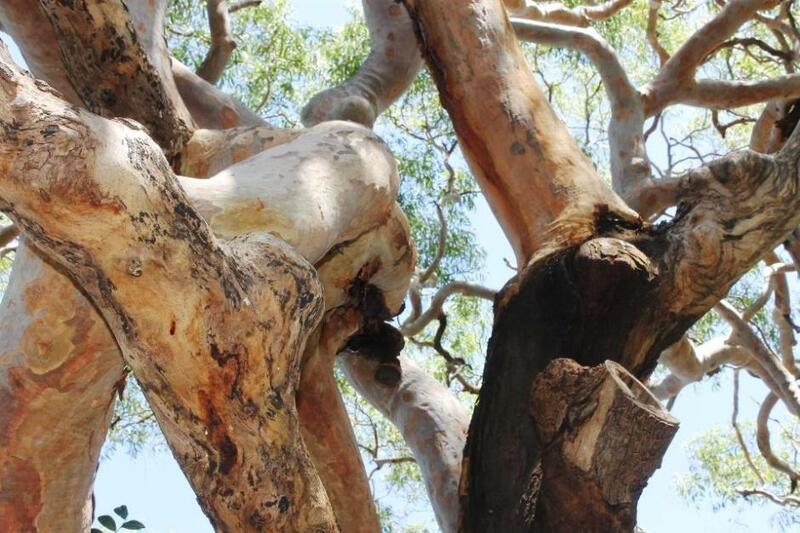 The tree was an ordinary red gum tree, well-shaped and symmetrical until of late years, when it began to gradually die away, hence the reason for it being cut down. My first memory of the tree was when only a boy. I sat under its shade when the late Patrick Nelson, father of the late Mrs Ryan,(mother of our Shire Secretary), the late ex-Cr. Nelson and Mr Patrick Nelson, the well-known farmer, of Doreen, lived in the Marsh farm, then the property of Mr Winter. My father having purchased the Marsh farm was on his way to inform Mr Nelson of his having done so, and he left me sitting under the tree, a little way off from the house. Later on some stirring meetings were held under the tree about the Glue-pots on the Plenty road, and about the year 1857 races were held at Bridge Inn, which was on the opposite side of the Plenty road. The race-course was right round the hill on which the Mayfield homestead now stands, starting and winning at the tree. Many stern and tough races were fought out on that course, a notable competitor being the late John Abbott, who then lived at Donnybrook. It was here that equine wonder, the steeplchaser, Walkover, won his first race, being very hard pushed by Mr John Wood Fleming's steeplechaser. I think Walkover was purchased out of the Morang pound for a trifling sum, about £4, and yet he put up a record that, as far, has not been beaten, winning in Melbourne with 13st 13lbs on his back. Other races from time to time were run, the most notable being that between Mr James Smith, the builder and owner at the time of the Rose, Thistle, and Shamrock Hotel, Plenty road, who owned a black mare by name Black Bess, and Mr Noble's black horse Tommy, Mr Noble being the head-teacher of what is now S.S.488, Merada, a good and capable teacher, but a little heavy with the cane, a taste of which I had once or twice. Well, the two nags, after running two dead heats, ran a third heat, which Black Bess won by a nose. Many other keen races were competed for at the "Old Gum Tree," and picnics and foot races as well. Among many winners I can remember the late Wm. Fleming, of Coburg, John Pratt, the miller, at Mayfield, and your humble servant, "Mernda." In those days the greasy-tailed-pig was always a feature in the competitions, the pig being mostly won by the late John Thomas, of Separation, Merada. The tree stood in front of the store of the late Moses Thomas, and was also used as apost to put the target on for shooting matches. For some years Mr Thomas’s family owned a peacock that always roosted high up in the tree, and his peculiar cry often rang out in the night air. You can easily understand, Mr Editor, how memory clings to such a land mark ; it is not often given to one in a period extending over 60 years to see a link with the past after so many years disappear. Such is what time brings about, but all the same it leaves its memories. Many races were won by the Beale family on the racecourse, Mr Adam Beale and his brother, Young Beale, both riding and winning there. The late ex Cr Lindsay Beale was a regular attender, also Mr Patrick Nelson, of Doreen, Mr John Grierson,of Preston, and, I think, Cr Reid has sometimes been there, and after all, although a new order of things has arisen, more distant, more formal, it is true, it would not hurt for a little of the old-time neighbourly feeling and genuine good-heartedness to be grafted on to the new order now and then. We meet samples of the old times, but they are getting rarer and rarer. One of the few left that I know of, is Mrs Stewart, of Arthur's Creek. The late Mrs Ryan was another example, and many others, as showing the comrade-ship that existed in those days. The late Mr John Wilton, J.P., of Wilton Vale, noted as the judge at all the races, and a stern, upright judge he made. The late Mr Moses Thomas, of Mayfield, always wielded the starter's flag, and he was equally strict and impartial in the performance of his duties. How few of those who took part in those days are left; they are like the lamented old gum tree, departed and gone. Peace to their memories. May we all die as useful and good ends as most of them did, beloved and respected by all, is my earnest wish and prayer.